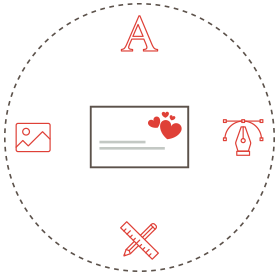 Get a personalized email signature to show off your brand with every message you send. 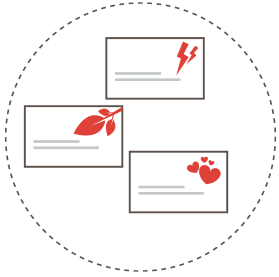 Why Personalize Your Email Signature Designs? 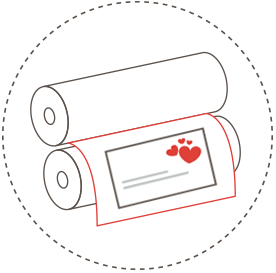 "My husband and I used Design Mantic to design our company logo and email signatures. The templates are easy to use, and font and colours were able to be changed to suit our needs. We needed to contact support for some assistance, and we were very well looked after. It was great to deal with just one person, and being located in Australia, we had to wait until the next day for a response due to different time zones, but we always had a reply in our inbox the next day! We are very happy with our purchased products and also the customer service we received from Design Mantic, and look forward to using their services again in the future." What’s the point of using an email signature? Professionals nowadays use email signatures to give relevant company information such as social media, website address, phone number, snail mail address and company name at the end of their email signature to cover all opportunities for correspondents to get back to them. 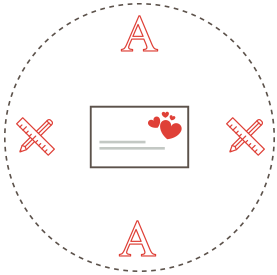 Sometimes you can also add your pitch at the end of your email along with your signature, which would help you convert correspondents into customers. Is your email signature generator really free? Our tool is absolutely free! You can choose your design, add a logo, customize it according to your taste, play with the fonts, and styles. You only pay a small amount when you’re satisfied with your design and download it for use. Try it now! Do I need to know graphic design to use your email signature creator? Not at all! You don’t need to have any graphic design skills to get your email signature designed. In just a matter of a few clicks you can get a fully customized design with all your contact details laid out in a beautifully designed email signature. Once you’re satisfied download it for use in your email software.